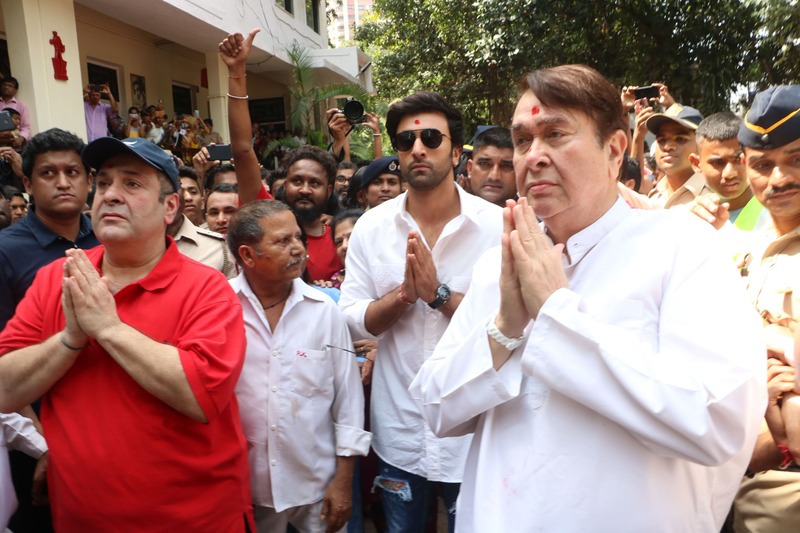 Bollywood actor Ranbir Kapoor along with his father Rishi Kapoor and uncle Randhir Kapoor were present at the last Ganpati Visarjan ceremony at the iconic RK Studio, which the Kapoor family had put up for sale recently. The festival of Ganesh Chaturthi was celebrated at the property by the Kapoor Khandaan. This was the last time that the Kapoor's celebrated the festival at their ancestral property. 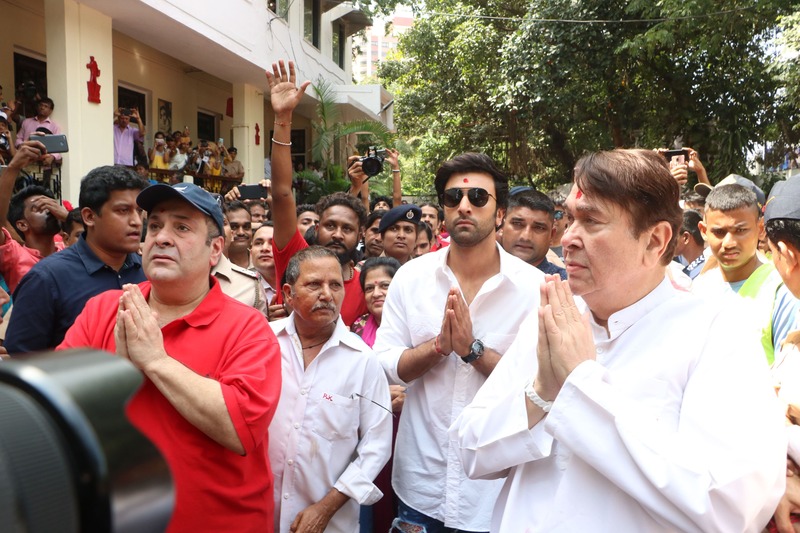 Veteran actor Rishi Kapoor confirmed last month that the famous RK Studios in Mumbai is up for sale. 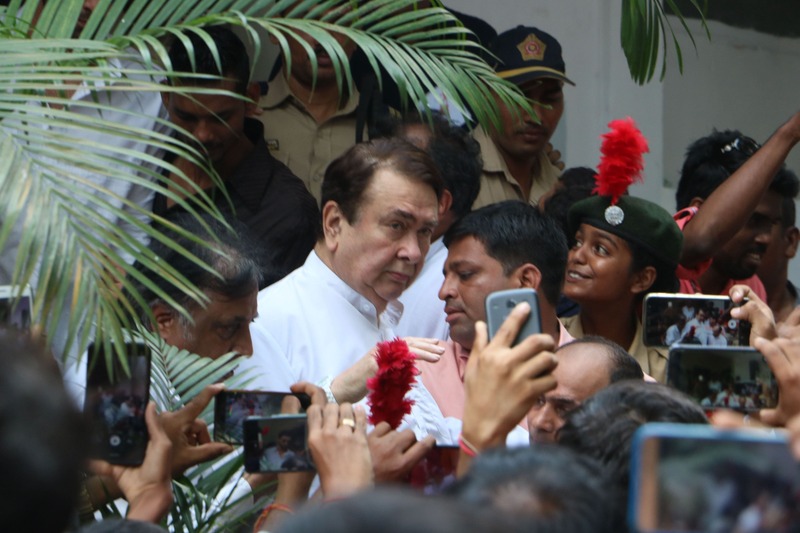 The property was built nearly 70 years ago by legendary actor Raj Kapoor.A Bollywood life report reveals that Randhir had said that he and his family were sad that they have to sell the studio but after the fire, it is nearly impossible for them to revive the production house and revamp the place. RK studio was in news last year when a major fire broke out on the sets of a television show. 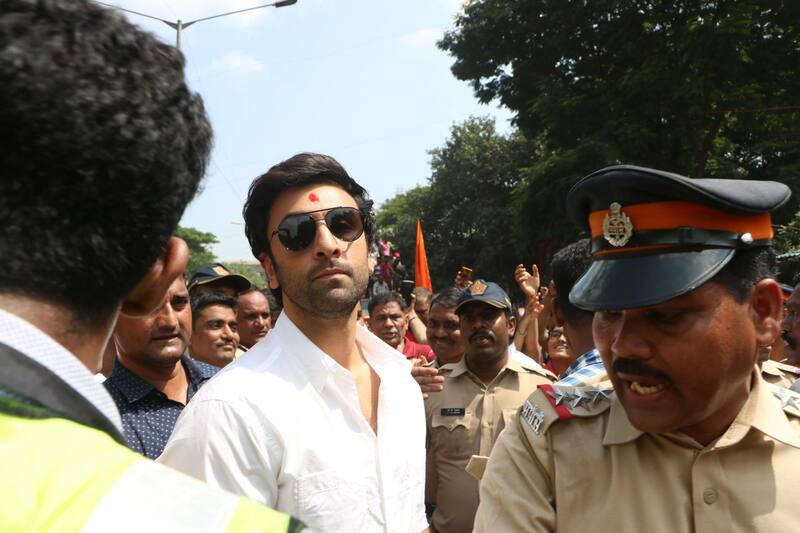 Earlier, reports were that RK Studios will be re-built. 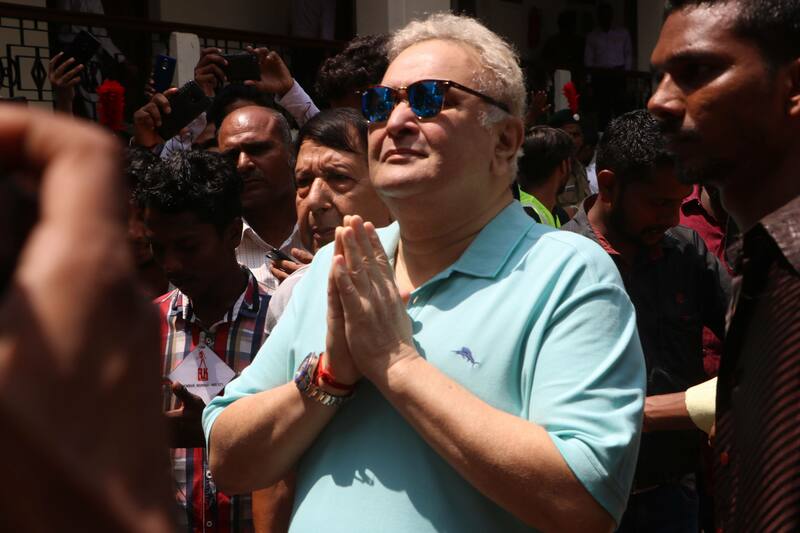 However, Rishi Kapoor confirmed to Mumbai Mirror that the property is up for sale. The report also says that the decision to put the property for sale has been taken unanimously by the members of the family.